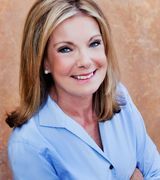 "Working with Linda Miller wasn’t just working with an experienced and insightful real estate broker who has an extensive knowledge of the marketplace. It was working with a true partner who had my best interests in mind; a partner who wasn’t out to just sell me the first house that came along but a partner who gave me her honest opinion and guidance about what would be best for me. Honesty in any industry today seems to be a rare commodity, but in the real estate business it can be non-existent. But by working with Linda Miller, I not only had an honest broker, but a smart, committed advocate who led me to the perfect real estate solution." "I was a first time home-buyer and very apprehensive about selecting the right realtor. I was referred to Linda and I could not have been happier. She walked me through the entire process step by step, making sure I fully understood each decision I had to make and made it as easy and enjoyable as possible. In the first few weeks, I thought I had found 'the one' but thanks to her knowledge and expertise I was able to avoid a disaster (the home looked good but needed a lot of repair work not easily seen). Linda continued to work with me until I found the perfect home at a price well within my budget. I appreciated her knowledge, friendliness, and professionalism and would not hesitate to use her again in the future."